I'm a complete newbie at the whole scrap/recycle metal world. I've watched some videos, googled the hell out of things, and came across this site in my travels. So now it's time to read threads, soak up some knowledge, and a some point much later down the road maybe give someone else a few tidbits of hard earned knowledge. The end result of this adventure is to learn enough and scrap enough to be a supplement to my income in my golden years - which are too **** close. So to all those who wish to aid me, thank you in advance for all your wisdom. welcome to the forums from Durban, South Africa..
i wont keep you long- u have LOTS to read up on. actually, a good part of it is just common sense. common sense isnt that common anymore. Welcome to the forum. You might look around and see what kinds of things catch your interest. A lot of scrappers tend to specialize. Some guys like steel, some are more into copper & aluminum, and others are into ewaste. There are all kinds of things you can get into. From my own experience : I was where you are about five or six years ago. Retirement coming up in awhile and looking for a side gig to supplement my income. E-waste looked pretty good at the time but the landscape has changed a lot over the last few years. It's all a matter of timing. Twenty or twenty five years ago would have been the best time to jump in. Nowadays ... it's not the best time to get into it. I'll probably always stay with it because it's something that i really like doing but it's not a moneymaker for me. Just a fun hobby full of new things to learn as technology advances at a rapid fire pace. One thing to consider for a retirement scrapping gig. Be careful of the heavy lifting involved. The body wears out and you can't do as much in your 60's as you did in your 20's & 30's. Use your brain and not your back ! Welcome to the forum. 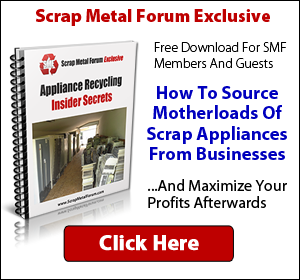 Read old threads to gain insight into the many areas of the scrap business. Keep in mind while reading the old threads that prices have changed. Yes, the body does not heal as fast as it once did. I'm only 50, but if i retire at age 65 that gives me 15 years to figure out things so that I can make a part time income supplement. It doesn't have to be "large money" - mighty rivers are made from many small streams. To get started I'll go with curb finds, word of mouth, dumpster dive and grab whatever I can. Specialization will come once I get a good overall knowledge. Yes, breaking things down to their components to some may seem like a money losing agenda, but the education from it will glean me more in the future. At this point I don't have a lot of storage space, so I won't be able to "hold out" for better pricing on some stuff. "Quick cash" now will help with things like purchasing a wire stripper which may not be needed right away, but will aid in future endeavors and free up some time because it's faster than a utility knife. But right now, I'm going to put both feet forward and start. And that first step is always the biggest one. Thanks for the advice, and I hope to gain future wisdom from you and the others. Welcome from the Buffalo Commons. I think you are on the right track. First you found this forum and the vast amount of experience that is shared here. Starting out while still in a regular job allows you to get your feet wet before you have to count on this as a source of retirement income. We share the same philosophy that breaking things down is a learning experience and while the return might not be worth the time, in the run it will more than pay for itself. And lastly, investing your proceeds into equipment and tools with the end in mind should pay huge dividends. This is exactly the business plan that I have followed and it has paid for itself. I look forward to your contributions and questions to the forum. I think having no to little idea about this adventure is almost better than having some knowledge. 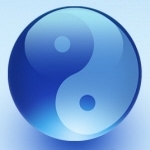 In martial arts when one changes between styles and arts, your muscle memory stays with you as you learn new things. This produces a "bias" and you have to "unlearn" to learn the new stuff properly. By having a "clean slate", I can learn and hopefully gain valuable skills from those who have attended the School of Hard Knocks and keep my mistakes to a minimum. A person once to me "emulate those you like and do what they do, just in your own way. Those whose style and approach you didn't like, remember what they did, and don't do it"
What do you think you would like to start with? Is there something that you think you can find fairly easily? Is there something that you already think you are interested in, or are you just throwing mud on the wall to see what sticks? Well I thought I would start off by telling friends and family that I'm scrapping metal, do curbside and dumpster diving, and go from there. A friend of mine has already agreed to save me all the pots and pans at their store and I will pick them up every two weeks or once a month depending on when the box is filled. While that doesn't seem like much, it's a start. At this stage I don't see any specialization because I'm just too new to this. So throwing the mud and seeing what sticks I think is the best option until I can find a niche that isn't overly taken up by all the other scrappers around the area. Start small, increase as time permits, gain knowledge so that I don't take a financial hit and maybe this could be a nice little supplement in retirement. I figure to make the mistakes now while I still have a chance to recover is better than later on. My thought was that I would strip most wire to take it to #1 and gain the extra cash. The wire stripper would make that job go faster, and pay for itself over the years. I don't know if I would have a source of wire in the future, so holding off now seems prudent. Hi there! My best advice if you're looking at this for income is to take the time to develop a clients. As example, one of my clients when I worked solo was a two-person window installing crew. From that one client I'd get between 200-400lbs of extruded aluminum from their deinstalled windows every week. Would spend a maximum of six hours cleaning the windows, no more than $28 at the dump with the glass (plate glass has no takers for recycling here in Las Vegas unfortunately) and the rest was a good payday for one day's work. Having even one decent quantity, regular client will help for consistency in your income as well as pricing at the yards where you sell. Curb shopping is great fun and, with a little strategy/trial and error, totally worthwhile as well as being more social and community oriented. It's rarely as consistent as developing clientele tho. Welcome to the forum and see you around the boards! I thought of providing a mobile service of picking up wire from electricians who just don't want to drive to the nearest yard themselves in order to get paid. By going to the jobsite then other trades might also want to join in by giving up their scrap thereby expanding the client base, as well as the types of products being scrapped. I've had a few thoughts, but at this point I still work a full time job so I have to consider the hours I work at that and whether I could offer a proper service to make things profitable. - guidance/tips needed here in CA. - Hello from Wisconsin! Seeking guidance!